Beautifully decorated, custom built 4 bedroom, 3.5 bath canal home, with tile floors throughout. Large open, bright living room and kitchen area. Fully stocked, designer kitchen with high end stainless steel appliances including a dishwasher, microwave, oven and ceramic stovetop. Screened in porch off the breakfast area, open porches in the back overlooking the canal with easy access to the ICW. Other amenities include a floating boat dock, central heat and air, 4 televisions, DVD player, wireless internet access, washer/dryer in separate laundry room. Covered and uncovered sundecks, outside shower (hot/cold), charcoal grill. 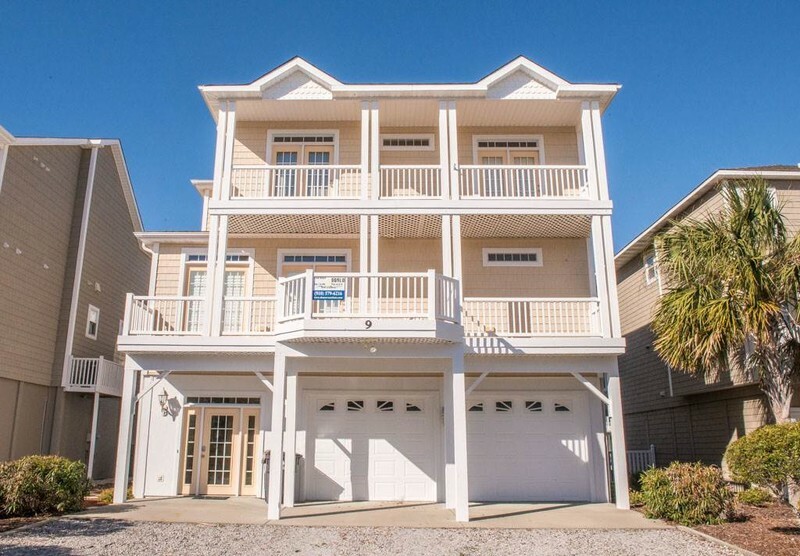 House is a five minute walk to the beach; located on a beach access street. No home phone available. Accommodates 8. King, King, King, Queen. Blue Ribbon service included in rental rate, all bed and bath linens provided. Non-smoking, no pets.